The application is specially optimized to be extremely easy to configure and detailed documentation is provided with clean & commented code. You can create your own news app for iOS. Admin Add unlimited categories and add unlimited news under related categories. 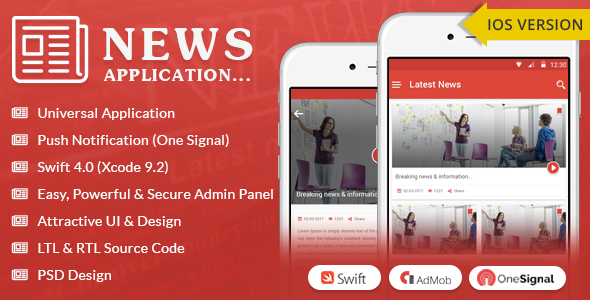 Here we are update with our SWIFT 4.0 code for iOS News Applications.